The poem Moretum (discussed in my last post) narrates the preparation of a meal that can be characterized in modern English as ‘pizza.’ Round flatbread is baked; to go on it, a cheese spread is mixed. The details of the narration are such as to create a recipe of its ingredients and related cooking instructions. The most important ingredient, however, is not an ‘ingredient’ as such, but a shape. The bread, the cheese, and the cheese spread are all round. That by itself might not seem remarkable, but the Latin terminology (words from which ‘orbit’ and ‘globe’ derive) is identical to then contemporary astrological terminology. 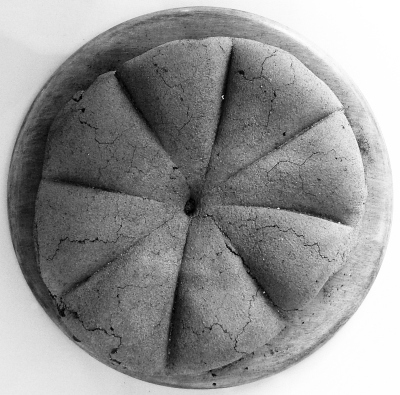 The bread is even scored into quadrants, symbolizing, among other things, the four elements and the quadrants of an astrological observer’s circle.